PixelPhone is an app for your Android device that replaces your default phone app to offer you a better experience. It has features that you don't usually get through your pre-installed phone & contact apps. Since its initiation some years back, the app has constantly refined and improved its features to better suit user's needs. 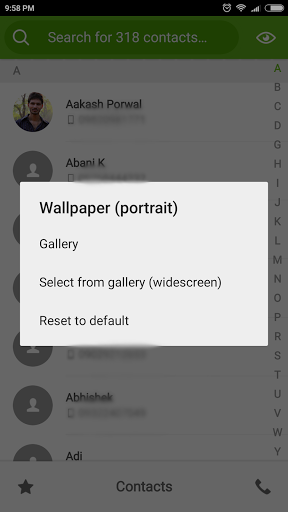 Once you start using the app, you would not want to go back to the previous default version of your phone. Since most of the phones offer a different UI and experience, it is better to have an app that handles that part to make it simpler. The PixelPhone app is available for free of cost but just for a limited period of time. It comes with all the features of the Pro version and you can avail it from the Google Play Store. PixelPhone is one of the smartest dialer and contact manager available so far. PixelPhone has managed to grow to its best with years of development and efforts put forward by the developers. This Android smartphone application is packed with superb features including different themes, flexibility, ease-of-use, anti-spam, dual SIM card support, and many more. This application was formerly developed by the renowned Russian developers, but is now acquired by the reputed company – Felink Technology. The continuous efforts of skillful and experienced team have resulted in improvement of this awesome app day by day. This has further resulted in growing popularity of this application. PixelPhone’s team is releasing the free version of this stunning application for a limited period of time to celebrate the popularity of PixelPhone Pro, since its launch. Its free version will contain all the features that you will find in its Pro version. Let us discuss further about this application. • Best T9 and QWERTY Dialer: Normally the T9 and QWERTY dialer that you have in your default phone app are not flexible and cannot be used for advanced operations. 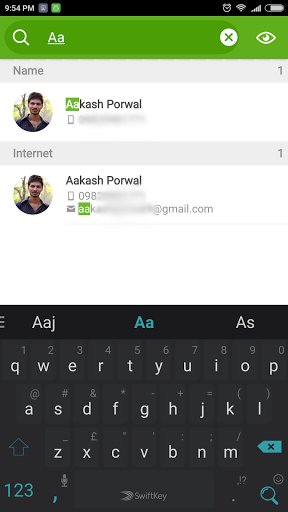 The PixelPhone app boasts of the best T9 and QWERTY dialer you will ever use. • Fully Customizable Interface: You can customize the font size, photo size, SIM card icons, dialer, theme colors, and different other functions accordingly. • Themes: You can download different theme plug-ins for free and change your smartphone’s theme every minute. • Auto Selection of SIM: It feels irritating when every time you call someone, you are asked to choose between the dual SIMs. The app knows which SIM is used for which contacts and will automatically choose the best preference. • Adjustable Dial Pad: The size of the dial pad is completely adjustable in the PixelPhone app. You don’t have to face any hassles due to the large or small size of the dial pad on your smartphone. • Customized Gestures: There are numerous gestures in the app and the best part is that you can customize the gestures and their actions. This will make your experience using the app even better and when you have the ability to customize the app, you have complete freedom over how it behaves. • Quick Dial & Blacklist Option: One and easily swipe to pick the call or read the message. If you don’t wish to attend a call, you can add it to Blacklist. The number will be blocked and you won’t be disturbed again. As you have already read about the key features of the app, you can also glance over the most interesting and exciting features of the app which makes the app quite unique. These features make its users praise the app as they are not available in the default phone app that you must be using. When your phone has the ability to run two SIM cards simultaneously, managing them can be difficult sometimes. The options that your phone offers are just not enough and you need something additionally. With the PixelPhone app, this won’t be a problem anymore and you can easily manage the two SIMs that run on your phone. 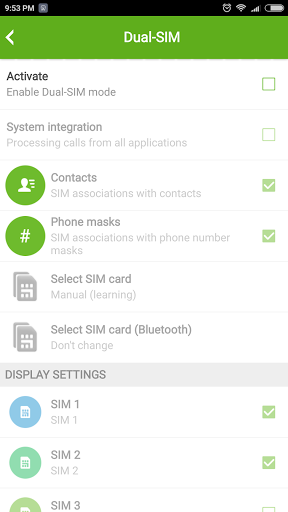 There are several options that make managing your dual SIMs easier than what it is now. We all are bored with the way our default phone dialer and contact apps look. When you have PixelPhone installed on your smartphone, you will be spoilt for numerous choices. You can customize it the way you want, without any restrictions. There are various themes and they lie in your control so that you can make them look as per your choice. Most users feel this feature to be awesome as the ability to customize your interface is not available in many other apps. You can easily customize the multilingual dialer with audio feedback or vibration. So, whenever you press the key, a vibration/audio tone will be heard. Moreover, the dial pad can be concise and its size can be adjusted easily. You can easily manipulate the dialer size. Many a times, we receive calls that we don't want to. It includes customer care numbers, credit card agents or simply people we don't want to talk to. With the blocking feature that PixelPhone provides, you can simply get rid of these calls instantly. 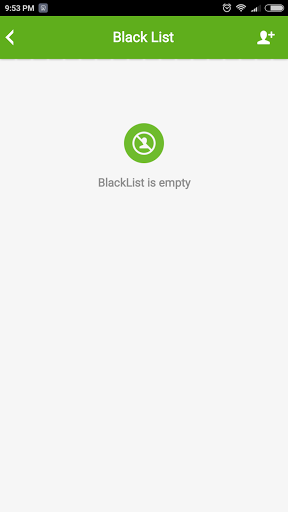 You just have to add the unwanted numbers into the blacklist that the app offers and let it handle the numbers for you. You won't be disturbed by these numbers in any way in the future, all thanks to PixelPhone app. Along with a good looking UI, what matters most is the overall user experience of the app and PixelPhone offers you that. Your default phone dialer and contacts app may or may not have any quick actions associated with it. But the app lets you have quick actions/gestures that you use most of the times. The best thing about these quick actions is that you can customize them the way you like to use. This will make your experience quick and more user-friendly. 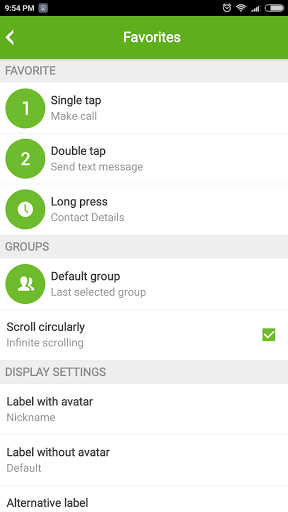 One of the features that all the dialer and contact apps lack is the ability to take group actions. You can't just sit and take single actions for each contact. It would take a lot of time and would be irritating too. With PixelPhone, you can take group actions which will facilitate you to be quick and efficient. Also, carrying out tasks with the dialer and contacts would get a lot much easier than what it already is. We all use the search function in our contacts to find the contact we want. But the basic search is the thing of past, PixelPhone enables you to use intelligent search. Through intelligent search, you can search your contacts in a better way. Also, you would be able to find the results much more quickly without putting much effort. 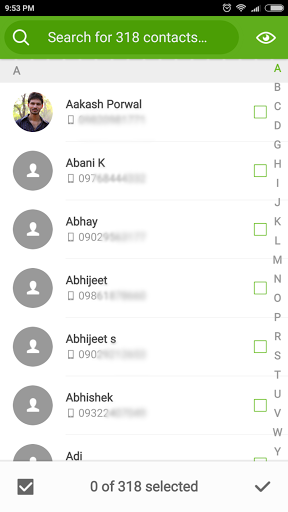 The search mechanism has got a huge boost in the app which will make it simpler for you to find contacts. There are some contacts that we interact with most of the times. They can be added to a particular group of favorites which can be accessed with a single tap. The app allows you to do that and this feature is extremely handy for all of us. Once you make your favorite groups as per your preferences, even managing them is quite simple with the app. You can set different ringtone for each group member and can add a photo too. The members of the group can also be added to quick dial. Sometimes, we call a same person multiple times and there are different records of the same call which clutters your call history. When you try to find out the important history, you are lost in all the unnecessary details. You can merge the similar call records by the same person with the help of PixelPhone. This will keep your call history section organized and help you find the relevant information in a better way. The future planning of any app is to make constant improvements and add features that the users would love to use. This goes for the PixelPhone app too. They will keep adding more new features in the coming days. Some of the interesting features that will be added to this app on July 22 include the ability to record and save calls for personal use, display the caller id of unknown numbers and also give you the option to track its location. These options shall make your experience better. • Call Recording: PixelPhone is introducing this feature for the app users on July 22. A user can then be able to record and save the calls for future prospects. These call recordings might turn out to be handy in near future. • Caller Id: If ever you get a call from unknown number and your mobile data is on, you can easily find out who is calling you. The app will track the number and also the location of the caller. These two features will be seen in PixelPhone’s Pro app and will not be available for its free version. The users need to purchase its pro plan in order to utilize these features. The PixelPhone app is owned by Felix Corporation which is also planning some new apps that are aimed for easing the daily tasks by smartphone users. Some of the apps that are in the pipeline include Dorado Genius, 91 Launcher, CleanMaster, ShareU and few more. These apps shall be launched soon and will create a whole ecosystem of apps that Felix stands for. The users looking for an exaggerating UI app must give a look to PixelPhone Android app. This stunning Android application is packed with overwhelming features and gives you complete control over the look and feel of your smartphone. You can control the user actions and manage your contacts with ease. Moreover, you get access to pleasant looking themes that are often missing in pre-installed UI of most of the smartphones. So, try your hands on this phenomenal application and experience the next level of user interface.